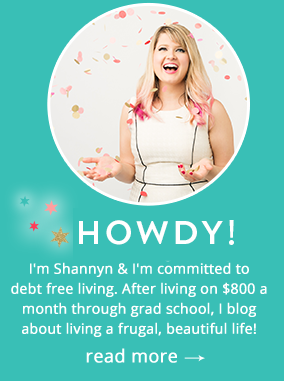 Zina here, offering up some of my favorite frugality tenets to debunk! So often, basic personal finance advice advises people to get rid of gym memberships or Starbucks, but when is something not “frugal” still a good idea? To me, being frugal means using your money in a way that impacts your life. For some people, travel abroad is a priority, while for others it’s a frivolous expense. For me, a new car is silly. For some of my friends, it’s worth saving up for a car for years. For a while, I avoided getting a gym membership. If I wanted to work out, I could lace up my running shoes and go outside. But I never did. It was only after I got a fitness coach that I realized that if I wanted to work out, I needed to find something I enjoyed doing. I ended up getting a membership to a small gym that offered boxing and kettlebell classes for $100 a month. I was still paying off my loans, but working out became a priority for me. If you’re like me and need the structure and camaraderie of a gym to motivate you, there’s nothing wrong with paying for it. If it fits your budget and matters to you, it’s ok to make it a priority. I enjoy a great cup of coffee like the next person but spending $3 on coffee every day equals more than $1,000 a year. If you enjoy your fix and appreciate coffee, then make it a weekly treat. That’ll cut it down to only $156 a year – much more reasonable for a small treat. The best way to make things like coffee seem better is to sit down and enjoy them. Instead of grabbing your drink and rushing off, take the time to sit and drink it quietly. Bring a book, read the paper, write in a journal. Enjoy the moment. It’ll make the $4 latte go farther. If lattes are important to you, get more mileage out of the experience instead of “chug and go.” If you’re spending money on coffee instead of making your own at home, you can justify this price by making time for it instead of mindlessly chugging it on the morning commute because you didn’t brew at home. In my intern days in New York, I used to get lunch out every day. I had plenty of money, and it was so easy to spend it. But when you buy something all the time, you stop appreciating it. Once I started paying off my loans, I stopped eating out. Nowadays my rule for eating out is that it must be with people I care about. That rule weeds out going out to eat for convenience. If you eat lunch with your coworkers occasionally, it’s a good way to build relationships and network outside of the office. In the long run, networking can help you earn more money by helping build your personal networks that could lead to job referrals, LinkedIn recommendations and other connections that could serve you later. If you’re grabbing dinner with friends or coworkers, it’s an easy time to catch up, but eating out by yourself because you forgot your lunch? Not cool. I stand by this frugal tactic if you’re not using it wisely! For the last few months, I’ve dreamed of one thing: having a cleaning lady. I don’t mind cleaning, but having a dog who sheds her weight in fur makes it impossible to keep up. Since I’ll be working from home in a couple months, having a clean house will be even more important to me. A friend of mine told me once that people who have money spend it buy themselves time (I’m pretty sure the original quote is from Warren Buffet). If you don’t have to clean your house or do laundry or buy groceries, you can use that time to spend on your hobbies, your family and yourself. Make sure you use this time wisely and efficiently to work on other projects that could earn you income (like a side hustle), build your career or help you get out of debt. If you’re just using the extra time you would have spent cleaning watching Netflix (which did you know, you can get Netflix for free??) or stalking exes on Facebook, you’re wasting your money. For me, the ultimate frugal purchase is the one that buys me time doing things I love. Use that guideline with your spending and you’ll find that even the most unconventional things can be frugal. You have to do what works for you and what helps inspires you or helps you use your limited time more efficiently. We either spend time, or we spend money- as long as you’re happy with your choices and where each is going, it’s a good use of your cash! 2015, The Year Of The #GirlBoss. Big Updates! Great post!! These are really good questions because they get at doing what’s best for you, given your circumstances. It’s not always about what’s best in general. You have to make the right choice for yourself. This is a great post! I don’t have a housekeeper, but I keep thinking I may want to look into one when we have kids. Not just so I don’t have to clean, but because I can then use that time towards my freelancing, and even if I end up breaking even, I would much rather be working on my own things than cleaning. This was so helpful! 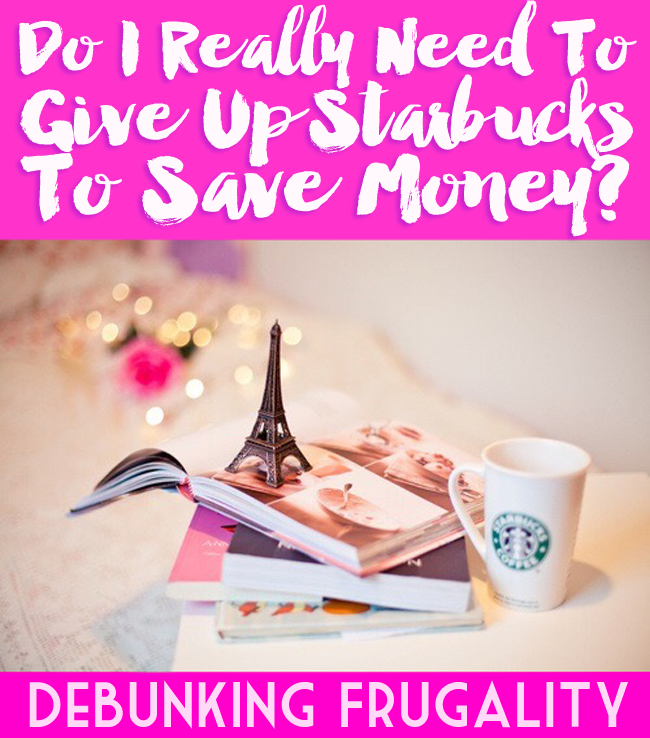 I think by being smart about our purchasing choices, like you suggested purchasing a latte once and week and sitting down to actually enjoy it, makes the experience and product you’re buying so much more enjoyable (and with a lot less guilt!). Great tips! I’d add that you should consider different types of gym memberships. Specialty studios are always more expensive, but a generic gym membership to a place like LA Fitness really isn’t that pricey per month. All things in moderation! If it adds value, then it’s usually worth it. It can turn into a slippery slope, though. Before we cancelled cable, we justified the expense because we’re really into sports, and in that way it added value. Now that it’s cut, we’re in awe that we once spent that much money on it, even if it was something we loved. Hard to get moderation on that one based on how they bundle cable packages. But things like that are the exception rather than the rule. These are little things we tend to overlook – like going to cafes. Especially if you are only using your change to get your drink, it’s still your money! I love your thoughts process for these. I agree that coffee out is a luxury for me, and I enjoy it when I get it.